Just add 20 to the basket and the special price of £7 will be charged. Lovely colourful dolly bag (base approx. 13cm, height approx. 20cm). 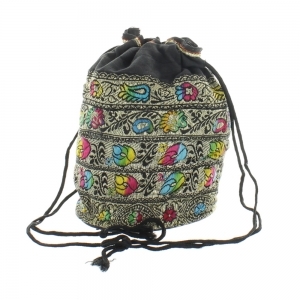 This beautiful dolly bag has drawstring closure and is made from colourful zari work fabric. 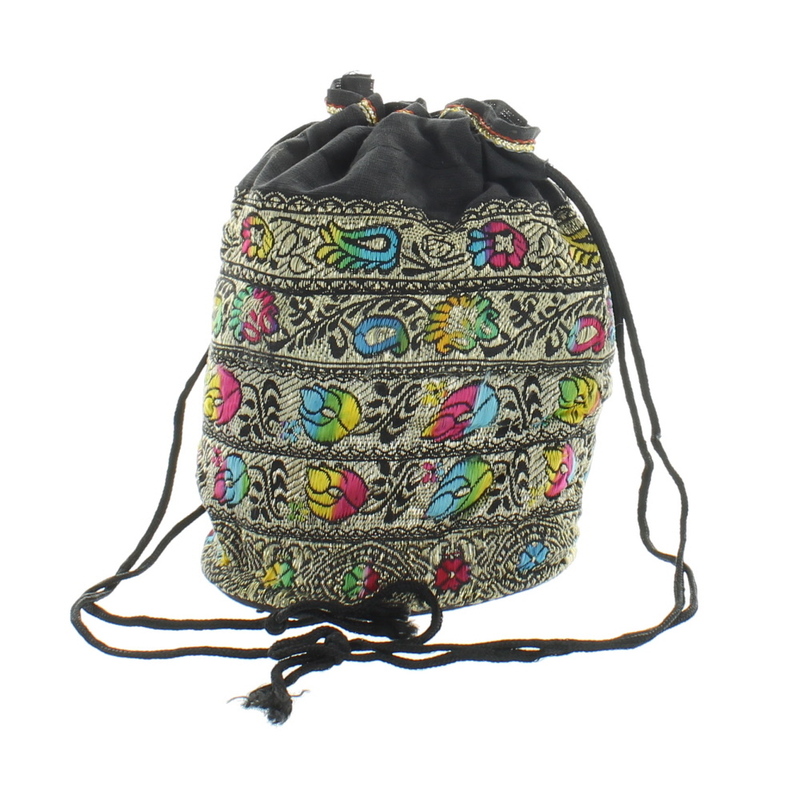 Each bag is individually made and so size and design may vary.